Yesterday, the Director General of the Securities and Exchange Commission (SEC), Arunma Oteh visited the House of Representatives Committee on Capital Market in an investigation into why the capital market is still in a free fall and the alleged coddling of questionable practices by large organisations. In a dramatic back-and-forth that culminated in tears at some point with the woman called the Iron Lady by the BBC accusing the committee of a witch-hunt and calling it a “Kangaroo court”. 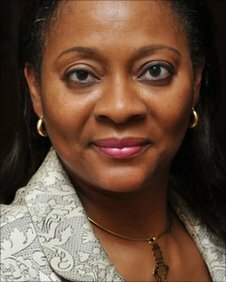 Ms. Oteh left the Africa Development Bank to join SEC in January 2010. The Director General of the Security and Exchange Commission, Arunma Oteh, spent a huge N850,000 on food in one day, in violation of regulations on how much chief executives can spend, a House of Representatives committee said on Wednesday. Ms. Oteh was accused of multiple violations at a bad-tempered public hearing of the House committee on Capital market investigating a dwindling market that has weakened investors trust and cost the nation billions of naira. The House committee, headed by Herman Hembe, said the commission’s boss flouted rules, compromised her position and engaged in a spending spree in the last one year she has held office. At a point, Ms. Oteh accused the committee of pursuing an agenda and surpassing the mandate of the hearing. She branded the house sitting a Kangaroo court, and dodged questions put to her. The inquiry sets out to establish why the capital market is almost collapsing, and why big organizations are protected by the commission while investors face increasing risk. Lawmakers said the DG’s unbridled spending and her relationship with some of the organizations she oversights have eroded the commission’s regulatory role. In one case, the DG spent as much as N30 million on hotel bills accommodation in eight months and N85,000 on meals on another day. “You stayed in a hotel for 8 months and spent over N30 million. In one day you spent N85,000 on food at the hotel; the other day you spent N850,000 on food. These are the things we should look at to see how you will regulate a market that is collapsing,” Mr. Hembe said. The most contentious was the revelation that the commission’s boss recruited staff of Access Bank, Charles Ughele and Titi Olubiyi, as SEC’s advisers, a move lawmakers said compromised the regulatory role of the commission over the bank. But the Director General of the Commission, Ms Orunmah Oteh denied the partnership affected the integrity of the commission, and said the commission only benefited from the experiences of the officials. The committee said the DG’s actions have called to question her competence to hold the position and directed that she submit her academic certificates and all documents regarding the engagement of the Access bank staff. This is really strange. What do you think? Abegi, all this na wash wash!